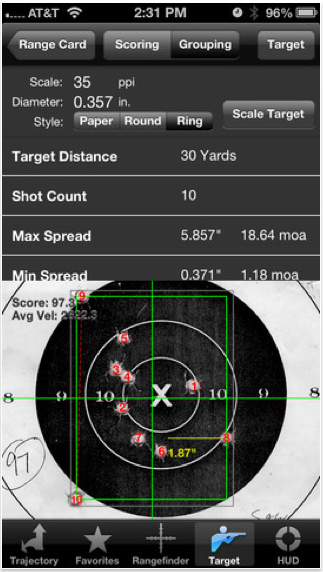 Ballistic is a highly-accurate ballistic calculator and range companion for the iPad. With its advanced capabilities, Ballistic can compensate for atmospheric conditions, Coriolis effect, gyroscopic spindrift, and more. It’s also much more than an advanced trajectory calculator. With a vast library of nearly 4,000 projectiles and factory loads, rangefinder, range log, and head-up display, Ballistic is a complete mobile companion for hunting or at the range. Ballistic’s world renowned JBM ballistics engine delivers the gold standard in calculations that other applications compare themselves to. 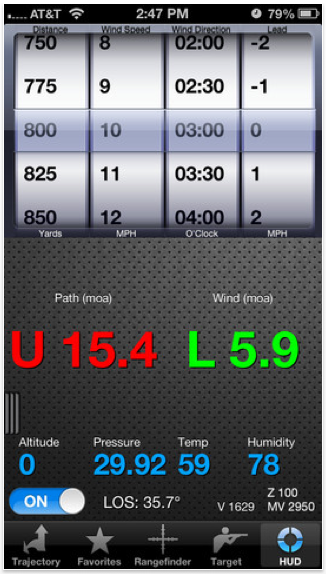 Advanced wind kit to easily and quickly configure complex wind scenarios for up to eight wind sources. Select from a library of nearly 4,000 commercial and military projectiles and factory loads from leading manufacturers or specify your own projectile properties. Includes latest commercial data and military coefficients established at Aberdeen Proving Grounds. Also includes Bryan Litz’ advanced G7 ballistic coefficients and bullet lengths. One-Touch Atmospheric Correction: Adjust your calculations for zero or current atmosphere by pressing the Core Location button. Weather is updated based on your current location and information from a weather service, or enter your own atmospheric values. Fully featured and unique Advanced Wind Kit, allowing the user to easily create complex wind configurations for up to eight different wind sources! Support for variable (stepped) ballistic coefficients for many popular commercial projectiles from select manufacturers, for more precise calculations. 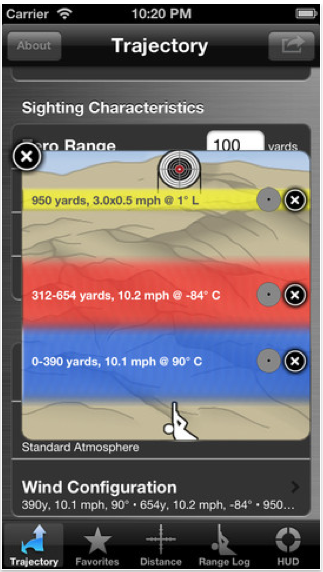 Ballistic Charts: Display a chart of the current projectile including drop, energy, and velocity. Compare wind drift. Compare up to eight projectiles on the same chart. Trajectory charts display the projectile’s path across multiple altitudes and angles. Zoom charts up to 300% or save a full size chart to your photo album. Complete Mil-Dot rangefinder and ballistics calculator. Display milling holdovers and elevation / windage, with on-screen adjustments. Range log to keep a journal of all your hunts, shoots, adjustments, points of impact, and scores. 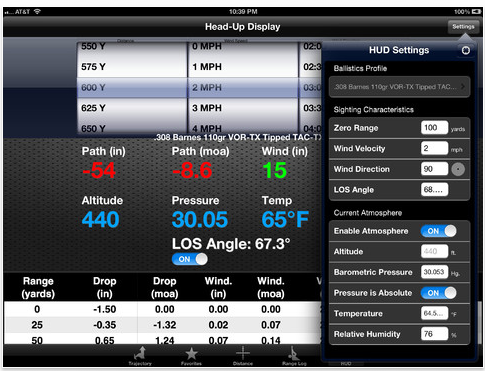 Includes integrated score tallying, multiple target types, and Core Location support. Load as a zero atmosphere later in calculations. Generate cold barrel and scoring reports for each rifle. Elevation and windage output units in inches, centimeters, arcminutes, milliradians, and click values ranging from full click to 1/8 click. Custom click values can also be specified. 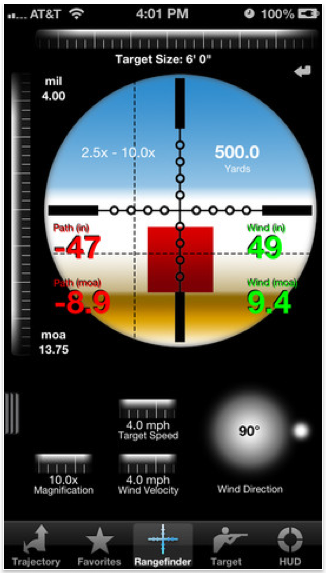 Minimum and maximum point blank range is automatically calculated based on the vital zone radius, and shown as up and/or down arrows in red.